How to survive a boring training session! Ok – so you’ve been told you have to attend this course – it’s mandatory! I can already hear you reaching for your back to school face and anticipating the 2pm doze! But wait a minute – if you really have to be there what can you do to make it more interesting and make the most of your time – and I don’t mean using it to deal with your emails! 1. Become active not passive – Ok – you may be invited to be passive by a trainer who just talks at you and over uses power point – but do you always do what you are invited to? Step back into your adult self and take charge of your own learning. 2. Find out why you are there - Is there something specific about your work that requires you to be there? What legislation or policy might have changed and how is the company trying to fulfil its obligations? What does the company expect from you being there? What is/is not happening at work that this might be trying to solve? If it’s an annual update – use it to test your own knowledge and test the current system. 4. Use your learning style – what is your preferred way of learning? a. If you are more visual – use mind maps, flow charts or pictures to jot down not just what is said but what questions and thoughts it raises for you. Be creative in your note taking. 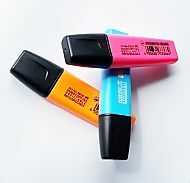 Or use highlighter pens to help identify key points in handouts. b. If you are more of a talker – jot down questions and challenges and if you are not given time in the session, use the breaks to compare notes with others. It’s interesting how other people may have heard things differently and it’s the conversations you have with them that might prove most interesting. d. And if you find it really difficult to sit still in training and tend to fidget – take something to fidget with! 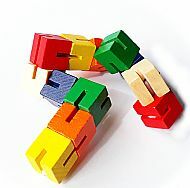 I mean it – some people find it much easier to concentrate when they are doing something so something like one of the small strings of wooden blocks can really help. But be discreet! 5. Think to the future - When I’m training people, I ask them to look for the one thing they can take back and use. Set yourself the challenge to spot what that might be for you and use some of the time to plan how you might put it into practice.